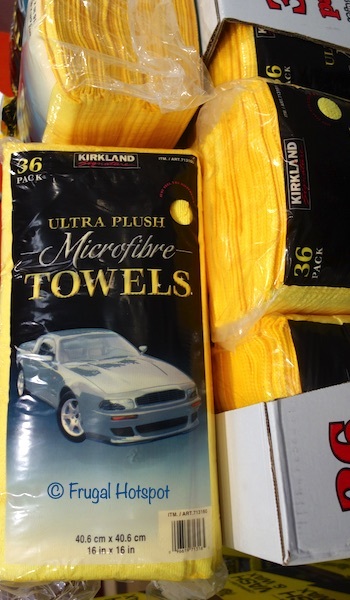 This lint-free towel cleans your vehicle while it dries, without chemicals, and can remove excess wax without scratching for a streak-free cleanup. Use it to polish, buff and shine automobiles and boats or to gentle clean TVs, computer screens, and mirrors. 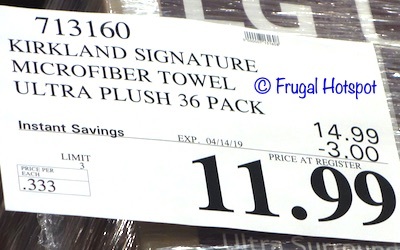 Select Costco locations have the Kirkland Signature Yellow Microfiber Towel Ultra Plush 36-Pack on sale for $11.99 (after instant savings), now through April 14, 2019. That is $3 off Costco’s regular price of $14.99. While supplies last. Item #713160. • Thicker weave provides a higher absorbancy. • Use it to trap dust so you can polish your car to a high-gloss shine. 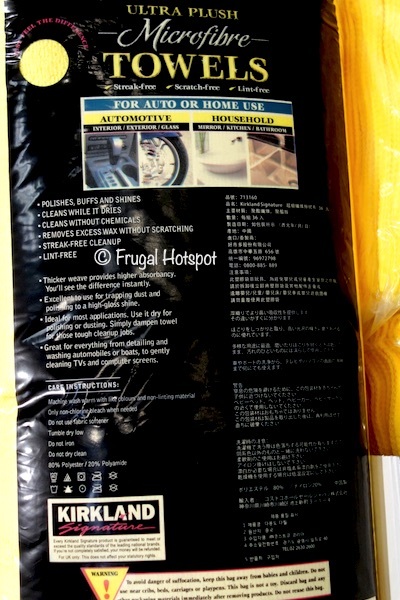 • For tough cleanup jobs, dampen the towel. • 16 in. x 16 in. • 80% Polyester and 20% Polyamide. Machine wash warm with like colors and non-linting material. Only non-chlorine bleach when needed. Do NOT use fabric softener. Tumble Dry low. Do NOT iron. Do NOT dry clean.